Walt Disney Records’ collectible series, Walt Disney Records The Legacy Collection, celebrates Disney’s most cherished and classic films that have been enchanting audiences for generations. Walt Disney Records The Legacy Collection: Beauty and the Beast newly remastered two-disc set is the latest installment celebrating the timeless 1991 classic animated film. The set is available on both physical and digital formats today. 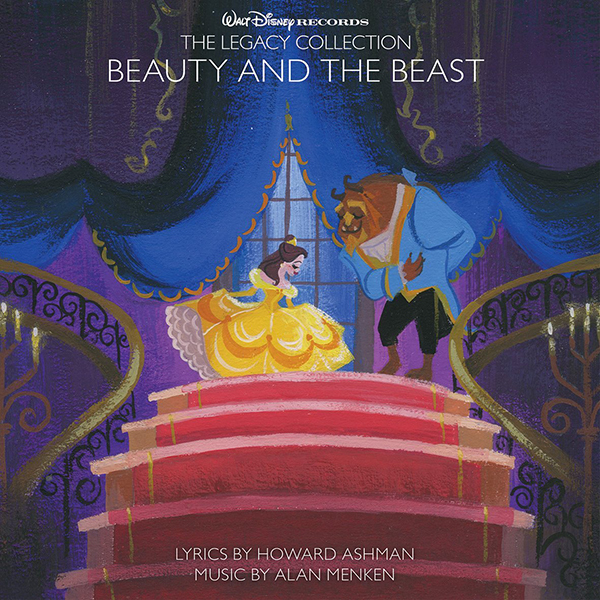 Walt Disney Records The Legacy Collection: Beauty and the Beast set features the songs and score from the film on Disc One, plus previously unreleased demos, and bonus tracks performed by eight-time Oscar®-winning composer Alan Menken and two-time Academy Award winner Howard Ashman on Disc Two. Also included are liner notes by Alan Menken. The CD cover and 20-page booklet feature newly created artwork from Lorelay Bove, a visual development artist at Walt Disney Animation Studios (Tangled, Winnie the Pooh, Wreck-It Ralph). Bove’s art can be seen in the hardcover book, Lovely: Ladies of Animation: The Art of Lorelay Bove, Brittney Lee, Claire Keane, Lisa Keene, Victoria Ying and Helen Chen. “Beauty and the Beast” broke ground as the first animated feature film to receive an Academy Award® nomination for best picture. “Beauty and the Beast” was nominated for six Academy Awards® and was the first animated feature to receive an Academy Award® nomination for best picture. It won two Oscars®, including best song, by the renowned Alan Menken and Howard Ashman, and best original score (Menken), as well as a Golden Globe Award® for best comedy/musical. “Beauty and the Beast” was Disney’s first animated film adapted into a Broadway musical, which ran for 5,464 performances from 1994-2007 and has delighted more than 35 million people worldwide. On March 17, 2017, audiences experienced the retelling of the original tale through Disney’s live-action film, “Beauty and the Beast,” starring Emma Watson as Belle and Alan Menken’s music score. “Beauty and the Beast” was one of the top grossing films of 2017 earning over $1.26 billion worldwide. Walt Disney Records The Legacy Collection: Beauty and the Beast two-disc set is available at disneymusicemporium.com.